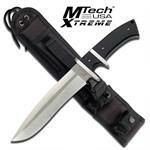 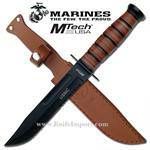 FIRST RECON MTech Tanto Blade Tactical RescueKnife With Custom Sheath. Featuring black finish handle. 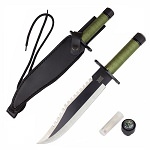 12" Overall in length, Includes lanyard. 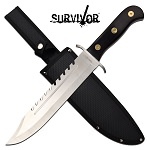 Best fixed blade knives. 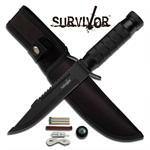 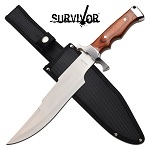 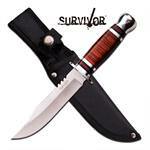 Full tang survival knife with 16.5 inch length. 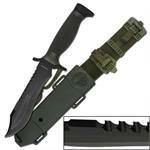 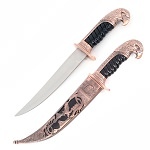 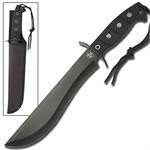 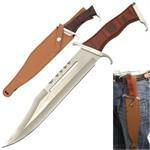 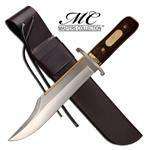 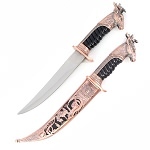 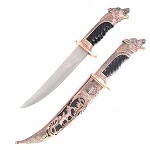 The bowie knife blade is 11 inch with reverse serration. 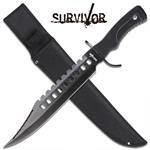 12 1/2" Overall. 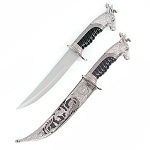 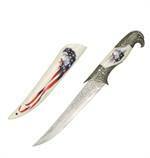 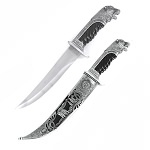 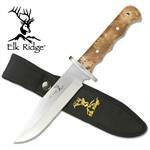 Has A Full Tang 440 Stainless Steel Blade With A Solid Pakkawood Inlay Handle.